Our Cryogenically Treated Banjo Strings are produced to the highest quality standards for stage, studio and recreational musicians. 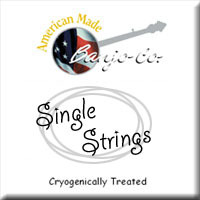 The additional cryogenic step before packaging exposes the strings to extremely low temperatures, below -300 degrees F. This cryogenic process is used in many industrial applications to provide consistent metal hardness and to extend its life expectancy. 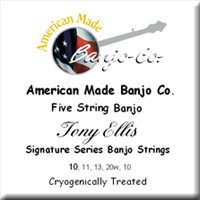 Many banjoists are convinced that the Cryogenic Treatment Process enhances the tone and extends the life of the strings. Use keywords to find the product you seek.